Much like last year's Djevel, we are again faced with a new Norwegian black metal project from Trond Ciekals (ex-Ljå), joined again here by kvltblaster Dirge Rep (once of Enslaved, Gehenna, Aura Noir, etc etc) and bassist Mannevond (Koldbrann). And similarly, the music is pure second-wave worship, cold, grim, and chaotic, all blastbeats and atmospheric, wavering guitar lines; good solid stuff. There are differences between Nettlecarrier and Djevel, however, not least that Nettlecarrier avoid the punkier excesses of their sister band's sound in favour of a colder, purer kind of grimness, retaining that atmospheric touch but channelling it in a different way. There's much to admire, but what especially impressed me was how Nettlecarrier manage to use the same old elements to create an album that's diverse but focused, varied yet very traditional. Opener The Boiling Blood is a furiously fast, all-out assault, pausing to swing into slower, compellingly dark crawls before renewing the attack. The following Paa Vaare Paaler Deres Hoder's crashing, chaotic pummelling is equally dark, even with a jangling, bass-led breakdown, and I Helvete Kristus Skal Forgaa will get those horns up with its rocking midsection and shifts in tempo, from slow groove to speedy thrashing. Similar changes in pace in Naar Han Vaakner take a more atmospheric route, chilling rather than invigorating, and by the time you reach closing stomper Bundet Til Masten you'll realise that Nettlecarrier have little new to offer, but know what they are offering is of quality. 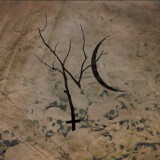 Experts playing the music they love is always worth a listen, and fans with a similar love of black metal will find much to enjoy from Nettlecarrier's portrayal of their musical vision. It's hard to fault, for reasons other than originality; even the artwork propels the vision - cold, simple, an inverted cross and a crescent moon with a twisted tree branch, atop a field of skulls. Much like the music, it draws you in and reveals more with each listen. And sometimes, that's all you need from black metal.